Every person who is up for a bit of an adventure needs a good camera, specially in today’s day and age. It isn’t just a matter of showing off (though a lot of people do that), but it is also a matter of making memories, and being able to turn back and look at things, and enjoy the great moments you had. 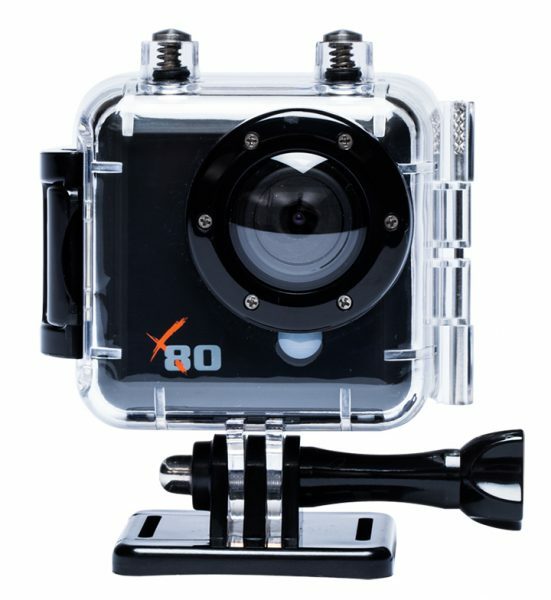 The Kaiser Baas X80 is one of the many Go Pro equivalent cameras out there, that you can get for just around a £100, and it offers you plenty of opportunities to make those memories. What can this camera do? The camera itself is a diddly little thing. The back has a 2 inch LCD screen to show you various settings as well as what you are about to capture. The top includes two buttons and a red LED (to show recording), while the front has the camera mount and another glowing red LED when this is operational. The sides include a mini-USB port and a mini HDMI port. The box includes a waterproof case, which allows you to go to depths of 30m. In the case, it is secure, and the buttons are accessible via the case, so you are good to go, whether your adventure is in air, on land, or under water (up to 30m). It doesn’t weight a lot, even with brackets, and you can easily take it in your pocket or in your bag. You will need a micro SD card to make any kind of footage or take photos. There is no internal memory at all. You will need to charge it. The camera comes with a mini USB port, instead of the more popular micro USB port. As such, remember to hang on to the charging cable. By default, the video and images are taken in lower resolution, and your videos/images will have time stamps on it. You will need to go in the settings to disable these. The settings are fairly easy and intuitive to play with, and it doesn’t take much to make the changes as you like. You can also set up date and time. Somehow I managed to mess this up, and the dates are two months behind. Sadly I only noticed after a lot of photos were taken. By default, the camera takes 780p videos, and by default they are 2 minutes long. Another video starts when the first one finishes, and they are made in 2 minute chunks. You can change both these values to 1080p and up to 5 minute if you please. To shoot, you just need to hit the Shoot button, and you’re good to go. When 2 minutes are up, it just starts recording another video, and you don’t have to do anything. As can be seen, the video is reasonably good quality, though there is a very slight cloudiness. This is evident in photos as well, as we will see later. The lens was clean, as was the inside. Another thing you may notice is that the video is slightly jerky. This is because my movements were jerky. However, it has to be said that this camera does not include, nor claim to have image stabilization, so this is expected. 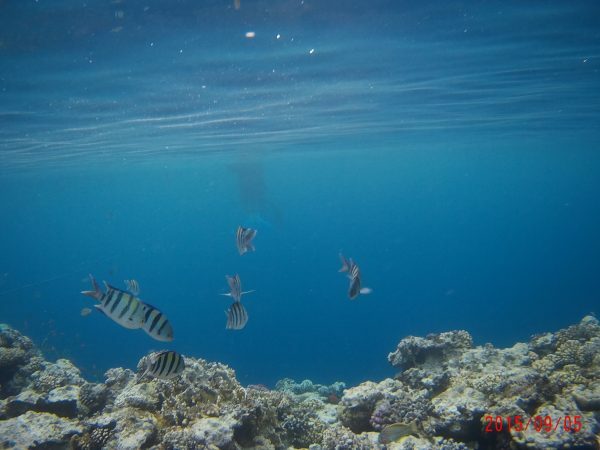 My first real time snorkelling, and I wasn’t the best and smoothest of swimmers. There is a microphone included in the camera as well, but this wasn’t very good. You can hear beats and stuff, but when the camera is inside the case, all sound is muffled. It works okay when the camera is outside the case. While not extremely evident in the video above, there is a fish eye effect on the camera lens. To shift between video and camera mode, you have to hold and press the shoot button for over 3 seconds. At this, the image shifts on the LCD to show a camera in the top left corner. The fish eye effect is more evident when photos are taken with this outside. As is evident, there is bit of a cloudiness, but it could be from the dust in the air! 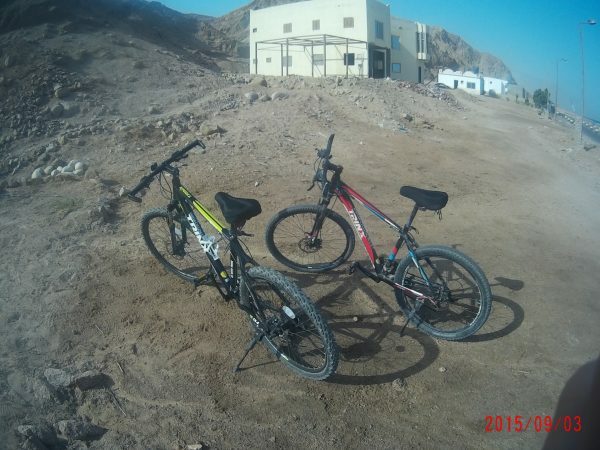 These were the mountain bikes we hired. We didn’t really have many adventures on them, but hey ho! 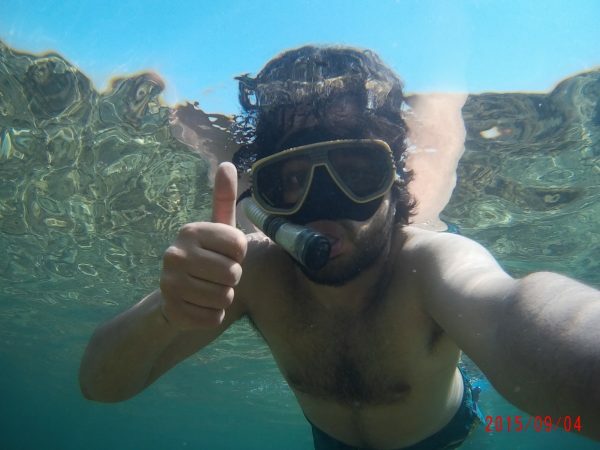 Yours truly, taking one of those under water selfies! Motion was easily captured, though there was a delay in taking photos, about a second or so. However, when you have composed your image, and know what you are doing, you can easily capture great images. It states a battery life of about 2.5 hours of recording. This much is true, but if you keep it on, even if not recording, the battery life will die just over 3 hours, with a mixed use of photos and videos. I found a lot of people on the internet complaining that their camera would often freeze, and since there was no way to reset it, they’d have to wait for the battery life to go dead, re charge it, and then find any footage before freezing was gone. I did not have this problem at all, so cannot comment. My experience was that this was a great and handy tool, and as I was a nervous snorkeller, it helped keep my mind off my bad breathing and helped me make memories and enjoy the experience even more. This camera was a great companion on my recent (and eventful) trip to Sharm el Sheikh’s nearby city, Dahab. 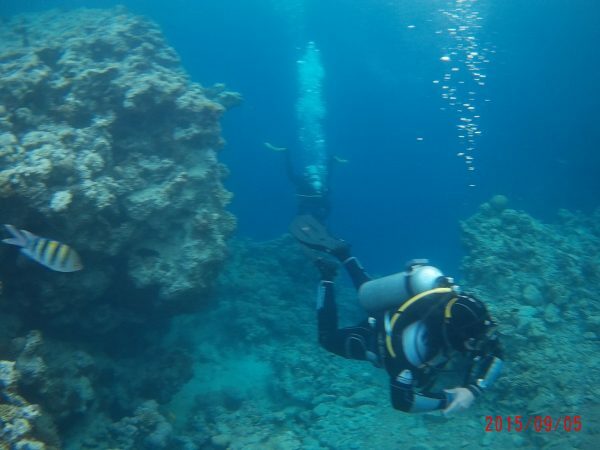 Sadly, I have to declare, that thanks to a fire coral stinging me, and the pain that ensued, I managed to loose my camera in the Red Sea. We looked, of course we did, but it was no where to be seen. I hope that some diver will find it some day, and make use of it. Luckily I had been taking my footage off the camera every day, and that is what I will cherish. It retails for £99.99 on Amazon, and can be found on various other online retailers as well. Easy to use, reasonably priced, and hours of fun. This is a must have for any body who wants to go on any kind of adventure, but remember to have it mounted/tied/held on properly, so you don’t lose it! Next story Review: One For All Smart Control URC 7980 – One remote to rule them all!